With so many beer growler options available on the market today, the competition for the top spot is a difficult one. The best beer growler needs to offer plenty of protection and temperature control in addition to a consistent, higher pressure seal. A simple design and easy-to-maintain surface that is dishwasher-safe will also make the growler easy to clean when it comes time to remove the leftover flavors from previous contents. The Stanley Classic Vacuum Insulated Growler hits all these checkmarks and more, making it the top pick for many beer-lovers. This growler has a smooth, rounded profile that holds up to 64 oz. of fluid. 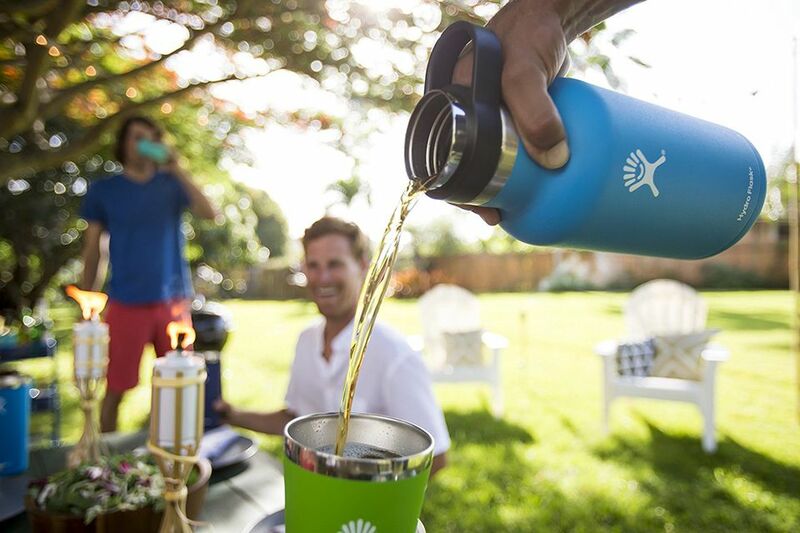 Beyond keeping beer fresh, the vacuum insulated barrier will also keep the beverage cold for up to 24 hours at a time, making it a great pick for those who camp. A solid 18/8 stainless steel barrier resists impacts and rusting while preserving the true taste of the beer inside. For pouring, the large handle makes it easy to handle the growler with one hand. Budget beer growlers can be a risky gamble if they don’t have the same level of high-quality construction as their more expensive counterparts. Despite the lower cost, the growler still needs to maintain a good seal to keep the interior pressure and temperature regulated regardless of the outside conditions. Thankfully, this next choice proves you can have a great growler at a great price. In fact, you can even have two growlers in a set. With Sally's Organics 2 Pack, you will get two 32 oz. growlers giving the option to get two different beers at your favorite brewery. Using amber glass, each growler creates a tight seal with the PolyCone Phenolic lid that screws directly onto the top. Beyond beer, you can also ferment and preserve other beverages, syrups, and juices like apple or grape juice. This makes it a great choice for kombucha-lovers looking for an easy and affordable storage solution. Good carbonation is only one important part of the equation for maintaining the taste and consistency of good beer. For many beer-enthusiasts, the flavor just isn’t the same if the temperature is wrong. Since the preferred temperature is a personal preference, the best choice for a beer growler is stainless steel. Well-known for its durability and high insulation properties, this metal can keep beers cold for long periods of time. Coming in a variety of colors to suit your personal tastes, the Hydro Flask 64oz Stainless Steel offers a standard amount of space to hold the beer of your choice. A double-walled, vacuum insulated design will also keep the beverage cold for up to 24 hours without having to keep the growler in a fridge. The combination of stainless steel and non-toxic BPA-free plastics will also preserve the original taste of the beer while keeping any harmful contaminants away. The True Fabrications 67-0y39-TOONTrue 2794 will remind you of the old-style glass jugs people used to contain their less-than-legal liquid contents back in the day. The growler is a 64oz glass bottle with an amber hue that darkens the glass into a vintage shade. Using high quality, impact-resistant glass, the growler will protect the liquid from common dents, scratches, or small impacts that would shatter common glass bottles. These growlers are similar to the ones you can pick up for a fee at your local brewery. Many beer growlers try to preserve pressure and temperature with a single-layer wall construction. Unfortunately, a thin layer of material rarely provides the type of seal necessary to keep beer tasting good for many hours at a time. Vacuum insulated construction, on the other hand, often uses a double wall layout that creates a space in between two layers, making it harder for air and heat to cross over. This creates a better seal and a better tasting beer at the same time. To make sure your beer stays cold for as long as possible, the DrinkTanks Vacuum Insulated Growler takes extra steps to create a solid, well-insulated seal around the beverage. The stainless steel construction is virtually leakproof, impact resistant and dishwasher safe. The lid comes with a metal latch to press the two seals together, ensuring the internal temperature won’t change through cracks in the upper seal. You can use this growler for both cold and hot liquids other than beer as well. The common 64 oz. beer growler is plenty for people wanting a single bottle to hold a lot of liquid. For parties or daily outings, however, this size can be too much to realistically carry without becoming a large hassle. This is where smaller growlers that cut the liquid capacity in half make sense. They provide the same level of pressure and temperature control without the additional bulk of their 64 oz cousins. Coming in at 33 ounces or one liter, the G Francis Growler offers around half of the typical carrying capacity as larger growler options. Using an airtight, metal hinge lid, you can easily seal and reseal the bottle as much as needed without losing too much heat and pressure each time. The stainless steel construction will keep the beer cool for several hours while providing a durable protective barrier to keep the growler in great condition for years. For some people, the only true way to drink a nice, cold beer is from the tap with friends. A good tap helps control the flow of the beer and head as it is poured from the container. Since custom at-home taps can be prohibitively expensive to install, the next best thing is a pressurized beer growler with a built-in spout and tap. The GrowlerWerks uKeg 64 is the next best thing to having a built-in tap right in your home. The magic happens with the Variable Pressure Regulation Cap and included tap that allows you to pour beer directly from the growler itself. The growler uses vacuum insulated stainless steel to regulate pressure and temperature all day long, even while outside. A small gauge will also keep you informed if anything changes to the inside pressure or seal.